Written by the witty (and fun!) 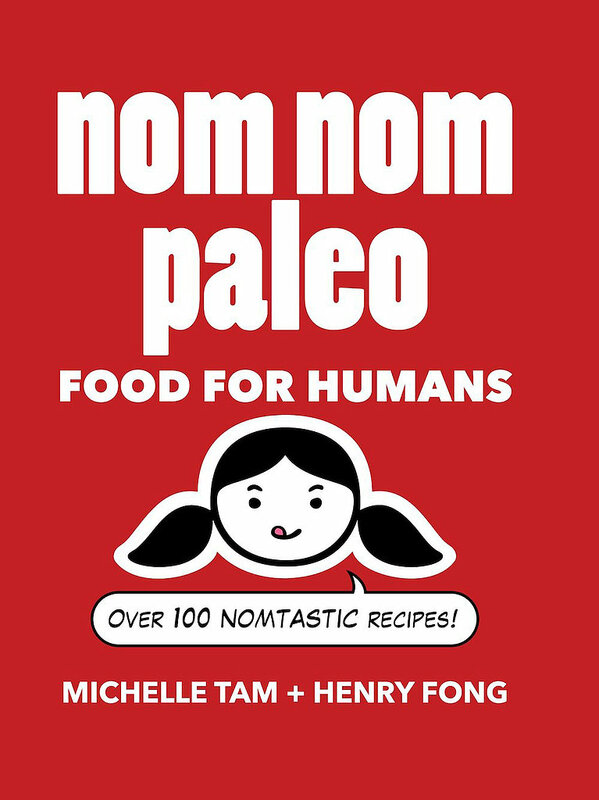 Michelle Tam with illustrations and photos by husband Henry Fong, “Nom Nom Paleo” is a book not just for the paleo population but all people. Its real food recipes make weeknight assembly a cinch with fun comic book graphics and cheeky commentary along the way. 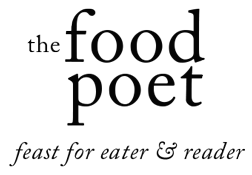 Their real food approach (and her admission in what may seem a shockingly short Dessert section to being a sugar fiend), all point to why their blog of the same name is ridiculously popular. Make a batch of their Bone Broth (p. 105) for its healing properties when you’re feeling under the weather or bake up some Mushroom Chips (p. 75) when you get the urge for something crunchy. Their Coconut Pineapple “Rice” (p. 157), made of cauliflower is a great way to get more veggies into a meal and Fiona’s Green Chicken (p. 193) might just need to be what gets fired up once it’s grilling season. RESOLUTION: Eat Less Meat, but Better Quality Meat. If you’re anything like the Mister and I, we tend to be highly skeptical of factory-raised protein. The conditions, life span, antibiotics and potential GMO feed animals are fed is enough to make me want to go vegetarian full-time. In steps hunter and angler Hank Shaw to shed light on the possibilities of preparation of wild and domesticated waterfowl in “Duck, Duck, Goose.” This comprehensive guide gives technique and mouthwatering recipes help pave the way for novices to waterfowl. Hank is a cook with serious street credentials and I trust his insights and instruction. His website is called Honest Food and his foraging escapades for mushrooms are legendary (at least in my own mind). That he tries to find ways to use the whole bird is an important detail. Make a dinner of Duck Jagerschnitzel (p. 75) perfect for cold winter evenings or Italian Duck Meatballs (p. 100) for a familiar dish to entice picky eaters. Along those lines, the Confit of Duck with Pasta and Lemon (p. 149) or Duck Egg Pasta (p. 214) would also be easy entrees into waterfowl foods. To change things up a bit in the summer, make his Duck Fat Pie Dough (p. 208) paired with your favorite stone fruit. 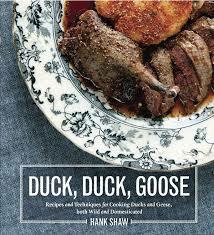 I’m partial to his Tea-Smoked Duck (p. 92) and think it might be the perfect dish for a Valentine’s Day feast. RESOLUTION: Why Buy When You Can DIY – Stock Your Larder from Scratch. If you still haven’t jumped onto the DIY larder locomotive train, there’s no time to start like the present. Would that we could all have a teacher as encouraging and full of heart like Jennifer Perillo. In her book “Homemade with Love,” she sets out to share her scratch cooking secrets to make you a DIY pro. Back when the food poet was a fledgling, she taught me how to make ricotta from scratch. If you’ve never had an interest in stocking your own pantry with housemade goods, you might be missing out on an incredibly empowering opportunity. You too can learn to make Homemade Ricotta (p. 32) – once you lick a spoonful of lush warm ricotta or smear a spoonful on toast with a smidge of marmalade, you’ll never want to buy the store-bought stuff. Instead of buying boxed vegetable stock, make Homemade Vegetable Bouillon (p. 24) to keep on hand and that will also help save money. 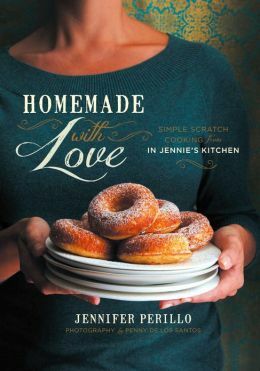 Jennifer has a tradition in her house of pizza night and she teaches you how to make Homemade Pizza Dough (p. 127) so you can start your own tradition. Perhaps you’ve never made pie? Her Foolproof Pie Crust recipe (p. 178) is sure to set you on firm footing. RESOLUTION: Eat More Whole Grains. I’ve been a woman obsessed since at least 2009 with whole grains and even see the word “groats” easily assemble from bananagrams tiles. Whole grains (and by whole, “intact”) have their enthusiasts and absolvers. I fall into the first group and fan the fire of my geekery with growing appreciation of other ways to use them in food. 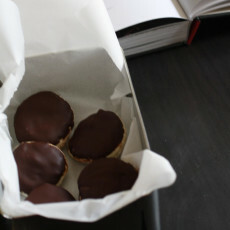 Enter “Tartine Book No 3,” by Chad Robertson, the book that kept me company as I nursed a cold on my birthday. Chad shares his journeys around the world as he continues to deepen his understanding of how cultures incorporate whole grains into their food while sharing his master recipes for baking them into breads and pastries. It’s no secret I’m smitten with his Oat Porridge loaf (or the Rye Porridge loaf or…). Slicing a hunk of these crusty breads with a custard-like crumb made me the bread fan (and budding baker) that I am today. I owe a lot to those loaves. This is a seminal book and I expect it to make out with a Best Picture nod at the food equivalent of such accolades this year. He shows you his master recipe for making the starter and then variations using exotic grains like his Purple Barley Amazake loaf (p. 146) or Sprouted Emmer with Maple & Beer (p. 134). My beloved Porridge loaves are in there too (Oat, p. 178, and Rye, p. 172). I would consider strongly starting a Cook through the Book kind of challenge with others interested in this book (is that you? ), but be advised this is a cookbook not for the faint of kitchen. Let the record also show that Chad also shot all of the photos in this book and they are beauties. Get your naturally leavened whole grain bread baking on. RESOLUTION: Make a Weekly Menu / Cook at Home More / Save Money. Sometimes brilliant ideas are in plain sight. 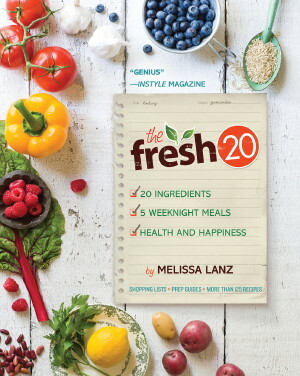 Melissa Lanz makes eating real food regularly easy in her book, “The Fresh 20.” Giving the reader 20 ingredients from which to build meals and menus, an economy of ingredients and resources. 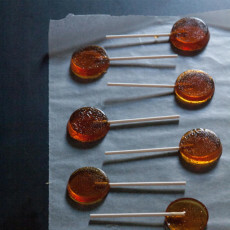 Melissa’s husband, Trent photographed the book’s bright colorful recipes. Broken up by season, this is an instructive book for knowing what produce is available when. Each section includes menus and a shopping list (which I wish could have been tear-out; good thing for the smart phone camera) to take with you when perusing the aisles at your local grocery store or farmer’s market. With recipes that are easy to prepare, she sets you up for cooking at home success. At our house, to simplify the weekly menu, we’ve implemented Taco Tuesdays and will be making the Greek-Style Lamb Tacos (p. 23) soon. If you’re trying to kick the fast food habit, try making her Fresh 20 Turkey Burgers with Carrot Slaw (p. 91) or swap out the take-out burrito for easy Fish Tacos (p. 108) or Chicken Tamale Spoon Bread (p. 179). What is it? Burritos? Beer? Pasta? Pizza? You’ve removed gluten from your diet and feel good. Really good. But, there is something that keeps bringing you back to gluten, in spite of the headaches or brain fog or itchy rash. I’m not a proponent of giving up gluten for weight loss or as a trend. In fact, nothing gets under my skin more. But, I’ve got history to show that for some people breaking up with gluten is the best thing they have done to take back their health and feel well again. In fact, many of my good friends are gluten-free because it makes them feel glorious! 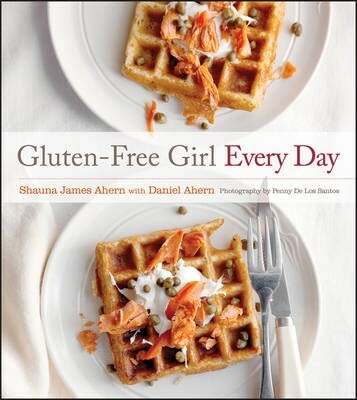 If you happen to be that person, “Gluten-Free Girl Every Day” is the book for you. Shauna Ahern’s love of life and of good food comes across in a book filled with stories and recipes that remove the gluten, focusing on enticing ingredients that make delectable dishes. Recipes like Chicken Teriyaki with Kale and Sweet Potato (p. 128) make for an easy replacement to questionable (is there gluten in that sauce?) take-out. Are you a sucker for soul food? Her Gluten-Free Biscuits and Sausage Gravy (p. 58) may help you stop singing the blues. Perhaps you bake and find gluten-free baking perplexing. Stir up her All-Purpose Gluten-Free Flour Mix (p. 31) and you’re on your way to making Gluten-Free Sandwich Bread (easy to make!, p. 48) or Gluten-Free Hamburger Buns (p. 242). Dog-eared pages in our book include Peanut Butter and Jam Bars (p. 304) and our favorite, Millet Waffles with Smoked Salmon, Crème Fraiche and Capers (p. 103). Working through this cookbook is like having a friend talking you through the recipes and helping make living gluten-free easier. You knew this resolution couldn’t escape the list, right? Given the obesity epidemic in the U.S., I don’t know why it’s shameful to admit to wanting to lose weight, but somehow, this is the resolution that gets paraded around as the one to avoid, the one that is so cliché. If you happen to be someone (like me) who recycles this resolution with unerring regularity, can you pull up a chair? Instead of attempting some fad diet that is going to be more destructive than helpful, perhaps it’s time to consider a different path? 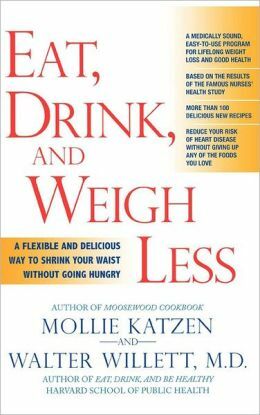 In “Eat, Drink and Weigh Less,” one of my favorite cookbook authors, Mollie Katzen teams up with Walter Willett, M.D., head of Harvard University’s department of nutrition to explore how to eat for the long haul and not just quick results. If you’ve ever attempted recipes from Mollie’s seminal book, “The Moosewood Cookbook” or even her new book, “Heart of the Plate,” you know she advocates for fresh ingredients that don’t skimp on flavor. 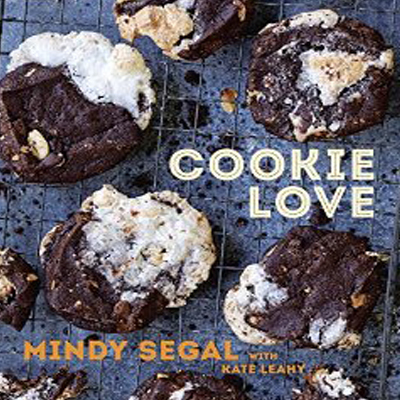 Here, she assembles recipes along with a meal plan (to get you started) that includes wine, dark chocolate and favorites like Broiled Eggplant Parmesan (p. 216). Coupled with Dr. Willett’s nutrition expertise, this is a book for foodies looking to whittle their waists without turning to bland food. I love the way that you’ve outlined these together with a resolution. Thanks Tammy. They naturally fell in line with resolutions on the cusp of my mind. Do any of them stand out to you? brilliant. you’re just brilliant. and i owe you a phone call. Thanks Watson. I think you could get behind “Duck, Duck, Goose.” And, you do owe me a phone call. Great list! 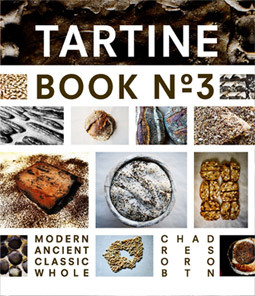 Can’t wait to get my hands on the new Tartine book! Thanks Tina. The new Tartine Book No. 3 really sets a high bar. What they are doing in terms of blending ancient grains in their baking is quite incredible (and ridiculously delicious). If you try any of the recipes in the book, do let me know.